We've been off to a great start this season. 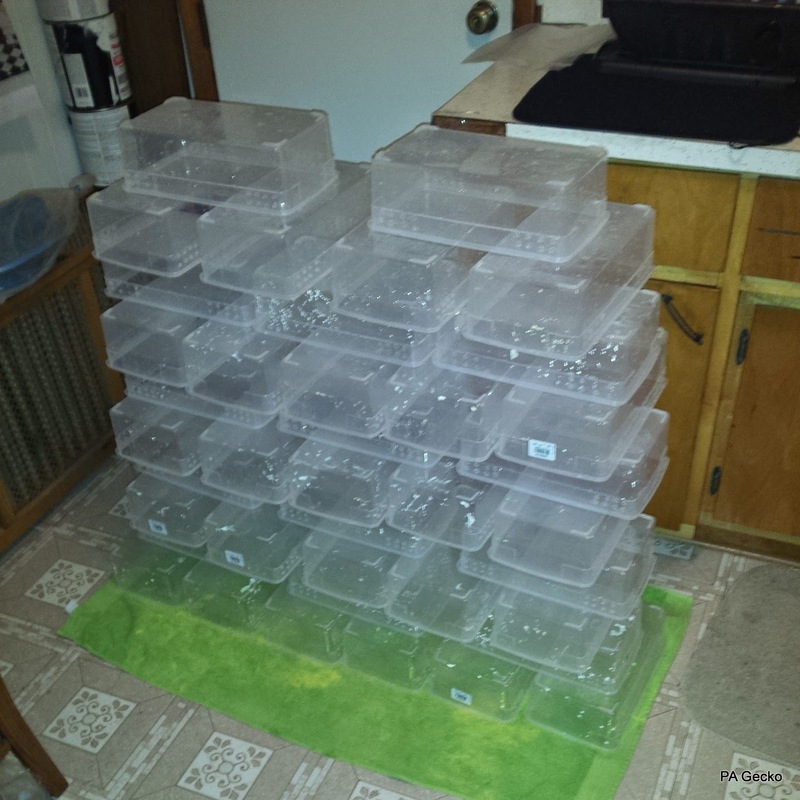 We already have 4 clutches of leopard gecko eggs in the incubator with a bunch more on the way. Over the last few nights we've been getting everything we need ready for the first 2015 hatchlings. It all starts with cleaning and sanitizing all the baby boxes before a single egg even hatches. 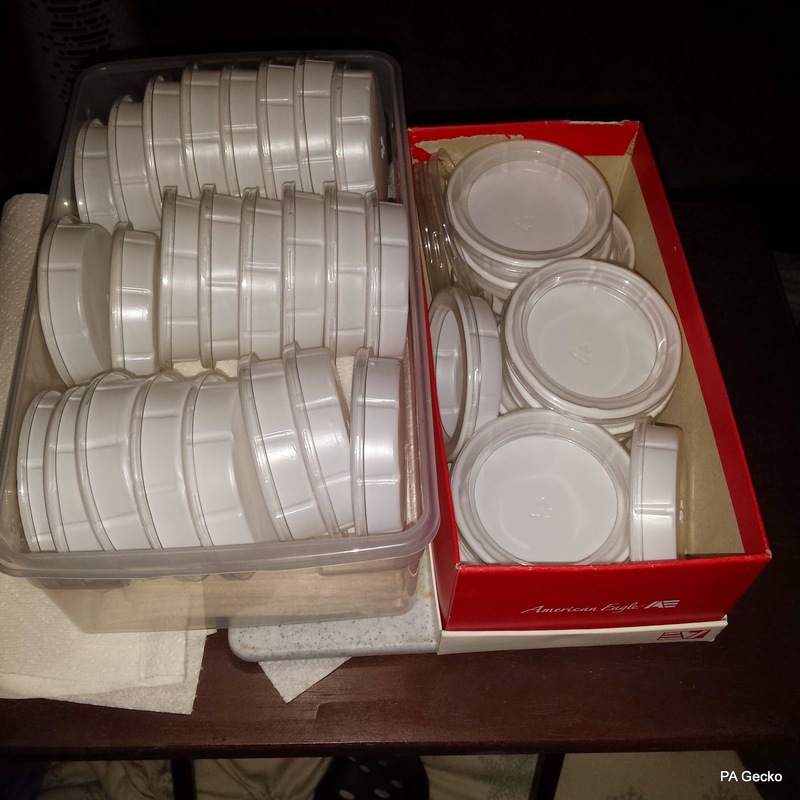 While the boxes were drying it was time to put together new food dishes. Once all the food dishes were assembled we cut a ton of paper towels so they would fit nicely in the boxes. Then it was time to start putting everything together. 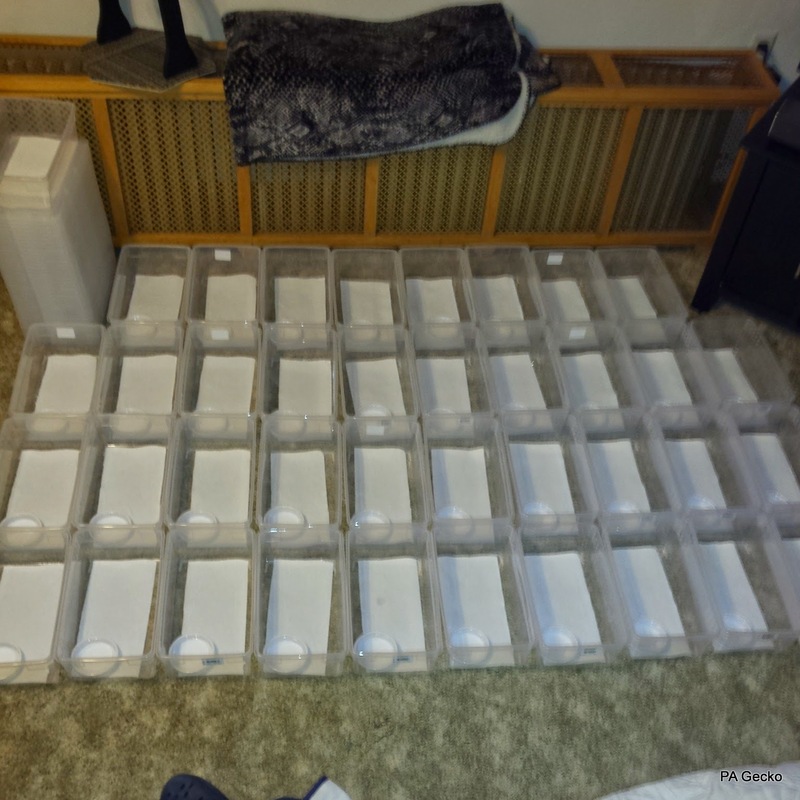 Here is a bunch of baby boxes almost complete, they are lined with paper towels and the new food dishes were placed in them. The only thing left is to add the hides and of course the babies!